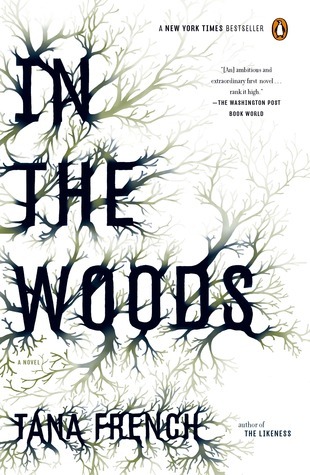 In the Woods by Tana French is a double mystery. The first occurred in the mid-1980s and the second takes place 20 years later. There are numerous common threads, not the least of which is Adam Robert Ryan, the main character. Ryan is also the narrator. His tone is engaging, self-deprecating and intelligent. Known as Rob, he’s a detective in Dublin’s Murder Squad. He and his partner, Cassie Maddox, work to solve the murder of 12-year-old Katy Devlin, whose body is found in the same general area where three pre-teens went missing all those years ago. One was Ryan who went by his first name, Adam, and was found covered in blood with no recollection of what happened to him or his friends. Are the disappearance and murder related? Will Ryan’s memory be jarred? Should he even be involved in the more recent investigation? These questions drive the well-paced novel; the characters make it an interesting and intense journey. French provides plenty of suspects and plot twists. The result is a richly nuanced suspenseful novel. Only Maddox knows of Ryan’s past. The two are close friends; they’re like siblings in their banter and knowledge of each other. As partners on the case they complement each other in their skills, thought processes and a shared, ironic, disrespect of authority – at least when it comes to their superintendent. Anyone looking for resolution to both mysteries may be disappointed. This doesn’t necessarily require a spoiler alert, but it should add to the intrigue.